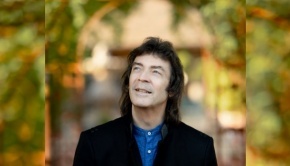 Steve Hackett has been a musical treasure for so many years now that it is almost easy to take what he does for granted, working his way through a solo career – that is now almost 40 years old – filled with delights and wonders throughout the 20+ albums released under his own name. He has more than enough quality within his body of solo work to put on mesmerising shows as he has been doing for decades but in recent years he has turned his energies to the catalogue of the most celebrated part of his career, the 6 years he spent with Genesis between 1970 and 1976. 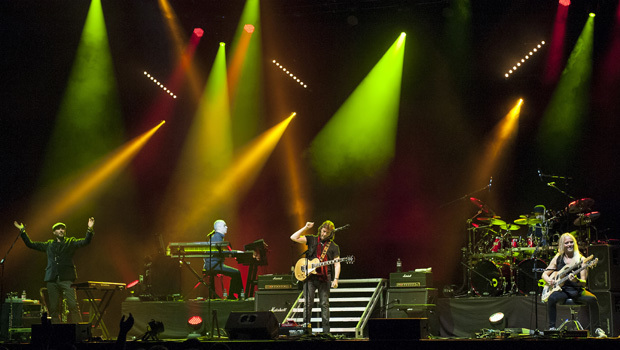 Hackett has returned to this period previously for the Genesis Revisited album in 1996. At that time Genesis were on the verge of releasing their final album, Calling All Stations, and the feeling was that it was only a matter of time before the classic line-up would come together again to play their most compelling work, that produced at the height of the prog rock boom of the early to mid-’70s. 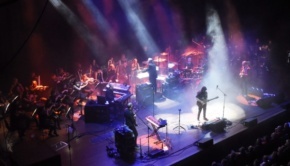 The rumours have continued since but have come to naught and the final nail in that dream appears to have been hammered in with the debacle surrounding the recent BBC documentary Genesis: Together and Apart where Hackett’s contribution to the band was pretty much sidelined and his solo work overlooked altogether. The documentary was a massive missed opportunity and a crying shame as of those who were involved in creating the classic music of the band’s creative high watermark, only Hackett appears keen on keeping the legacy alive. An increased emphasis on Genesis material in his solo shows started to emerge and the recording of the Genesis Revisited II album in 2012 moved Steve in the direction of building a show that focused almost entirely on the work of the band during his tenure. Hackett had already assembled a fantastic band who have revitalised his live performances and they continue to work with him on the current project with the addition of Swedish vocalist Nad Sylvan who adds the necessary theatricality to proceedings together with his fantastic vocal delivery which completely suits these songs. After the success of the initial U.K. dates of the Genesis Revisited show the tour has been taken around the world to rave reviews. Whether this current run of shows, under the ‘Genesis Extended’ banner, is the last before Steve returns to solo concerns we will have to wait and see but as a spectacle and celebration of a much-loved catalogue this show simply cannot be beaten. 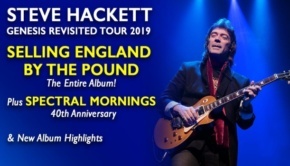 Hackett has always been the most enthusiastic member of Genesis for this period but he also retains the humble approach that makes fans love him all the more. Couple that with his still astonishing guitar playing and you have an artist who is high on the list of must-sees whatever he is performing. Tonight we got an overview of his skills as he put on a dazzling display of guitar mastery through a selection of songs that work superbly as a whole, the two and a half hour show not dragging for a second. 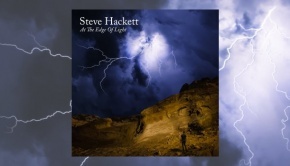 Hackett’s true skill is that he is able to defer to those around him and he is never the focus for long; this is a true celebration of the music from a man to whom it clearly holds a dear place. As the evening went on it became apparent that these shows have now transcended the nostalgia trip tag despite the vintage of the music, this is repertoire being played by someone who was there at the time, making it happen. That adds an authenticity to proceedings and at no point do you feel this to be a cover band or tribute act. Hackett is more than entitled to play this music and the fact that he has chosen to do so with such vigour and attention to detail is just wonderful. It seems appropriate that the body of work created by such legacy bands as Genesis could – and should – be kept alive. Orchestras do it all the time, keeping music alive long after those who created it have departed. The staging and lights were excellent and after the opening duo of Dance On A Volcano and an unexpected Squonk from Trick Of The Tail, which were a little too loud and muddy, so was the sound which for the bulk of the set was just about perfect. Risers at the back of the stage accommodated keyboardist extraordinaire Roger King and drummer Gary O’Toole with a platform for Sylvan to use at times during the evening. 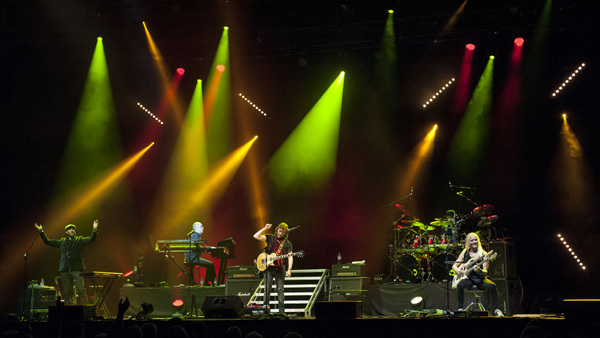 In front, left to right, were reeds man Rob Townsend, then Sylvan’s regular position, Hackett stage centre and Nick Beggs with his selection of basses to the right. King, O’Toole and Townsend have been in Hackett’s band for over a decade now and they work together as a superb unit. The set continued with a wonderful Dancing With The Moonlit Knight during which Nad excelled. Overall he was more restrained than in last year’s show, the theatricality and costume changes toned down, but in many respects this was to the benefit of the music which was moved even further away from being a tribute. Nick Beggs has been an important part of Steve’s band since 2009 but due to live commitments with Steven Wilson he was forced to miss the Genesis Revisited shows last year, his place ably taken by Lee Pomeroy, but now he is back and certainly helping to make this show a different beast to the one I witnessed at the same venue in May last year. His contribution was immediately apparent on a marvellous The Return of the Giant Hogweed (which Hackett introduced by noting that the band didn’t think it was any good when they wrote it) with a bass sound that cut through and a dexterity that showed just how intricate the parts are in these songs. Perhaps surprisingly Nick spent quite a lot of the set playing second guitar and sitting down but his presence was felt throughout; a master performer who adds to any situation he finds himself in. He swung out the double-neck and also embellished a couple of songs with Chapman Stick which gave them a new tone. A double-punch from The Lamb Lies Down On Broadway with Fly On A Windshield and Broadway Melody of 1974 gave a bowler hatted Gary O’Toole the chance to sing lead, as he has done to great effect for many years, and then we got a spectacular duo from Nursery Cryme, Nad returning for an immaculate The Fountain of Salmacis and The Musical Box which was performed with pin-point accuracy and received the first standing ovation of the night. With Sylvan and Townsend drifting off stage when not required there was a flow to the set, their contributions felt all the more when they returned, as in I Know What I Like which included a saxophone section to showcase Rob Townsend and then stretched out in lots of different directions with new tones and feels added. Throughout the show the band moved away from a rigid replication of the material and it was allowed to breath and grow, again underlining that this is a celebration rather than a tribute. Hackett took a chair for a solo rendition of Horizons, his classical acoustic performances always a wonder to hear, the picking style so cultured and correct in a way unlike so many of his contemporaries. Tonight I wanted him to do some more of this but we were soon off into one of the expected highlights of the show, Firth of Fifth with the sublimely understated Roger King nailing the piano intro. Unfortunately Steve suffered a bit with a misbehaving pedal during his solo but it was still great to hear as one of the defining moments of his contribution to Genesis’ work. Sylvan shone again during Lilywhite Lilith and then…The Knife! Wow, I really didn’t expect that! Hackett was not even in the band when they recorded this one in 1970 with Anthony Phillips on guitar but it was a perfect fit in the set, an excellent rendition with real power that diverted from the original here and there, such as Townsend’s flute section which gave the music a Celtic twist, and built to a stunning climax. The inclusion of this song totally validates the show as a celebration of Genesis past. Stunning. How do you follow that? Why, with Supper’s Ready of course, and it was a very well played rendition too, full of enthusiasm and conviction. By now the sound was as perfect as you could expect and the variations within the extended piece benefitted as a result. Another standing ovation and the band took their leave to a storm of applause which continued for some while until the band returned for the well deserved encore. King again led the way with a pristine reading of the intro to Watcher Of The Skies – opener last time but benefitting from its place in the encore tonight, the dazzling lighting effects accentuating the power of one of the jewels in the Genesis crown, Beggs nailing the compelling bottom end. An outburst of energy as the evening was brought to a spectacular conclusion with Los Endos, appropriately incorporating Hackett solo pieces Myopia and Slogans which work a treat in their embedded form. The band had plenty of room to spread out in a rousing finale that received an ecstatic response. A great show, perfectly pitched and brilliantly played, that shows what Genesis fans have been missing out on for the last 40-odd years. This is music that needs to be heard and Hackett has given it a platform from which it can still shine, spruced up with modern technology to make it even more enjoyable and compelling. All of the band contributed significantly and are to be applauded but a special mention for Nad Sylvan’s contribution in delivering both Gabriel and Collins sung material in his own way whilst retaining the essence of the originals. 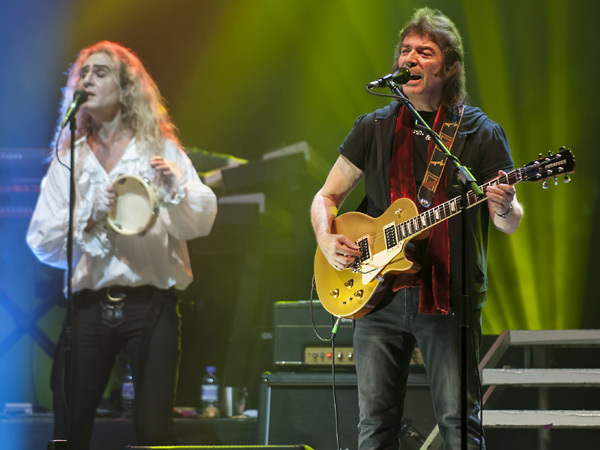 This is a Steve Hackett show that transcends Hackett himself and he is to be thanked for putting his energies into delivering such a spot on show. No doubt it is financially rewarding for him – and there’s nothing wrong with that – but you can’t help but feel that he is getting more out of it in a creative and artistic vein and this appears to be the most important thing for Steve. It is clear that there is an audience for these songs and heartening that there were plenty of younger fans in attendance. Hopefully this will feed on and encourage some to attend gigs by other less well known smaller and up-and-coming artists and Hackett does his bit by giving support slots to acts worthy of the attention. This tour sees Bryan Josh and Olivia Sparnenn of Mostly Autumn deliver a sublime set of band material, the stripped down nature showing the songs in a new light which underlines their quality. With two songs from new album Dressed In Voices and three from much earlier in their career they were the right choices and came across with power and passion. The two voices combined beautifully and as fans will know Bryan is no slouch on guitar. Couple that with added flute from Olivia and the short set was very enjoyable indeed and well received in the hall. A great night out and different enough from last year’s show to make it a no brainer. I had considered giving this show a miss as it wasn’t long since I’d seen the band. I’m glad I didn’t. The changes to 50% of the set, the differences in presentation and the addition of Nick Beggs made it another stunning evening, complementary to the 2013 show rather than a re-run. Hopefully this isn’t the last time that these songs get a show all to themselves.